Rao Gopal Rao (14 January 1937 — 13 August 1994) was a popular Tollywood Character actor and producer and member of Rajya Sabha. Rao Gopal Rao was born in 1937 in Ganganapalli near Kakinada, Andhra Pradesh. He started his career onstage, with his own company, Associated Amateur Drama Company and did many plays under the banner. S. V. Ranga Rao saw his plays and recommended him to Gutta Ramineedu, who was making Bhakta Potana (1966). He worked as an assistant director for this film. He served as an assistant director in other films, including Bangaru Sankellu and Mooga Prema.Rao was the main villain in the film Jagat Kiladilu (1969), which starred Krishna. Rao's voice was dubbed over at the request of the film crew. Rao became better known after the release of Muthyala Muggu, directed by Bapu. Other Bapu films to feature Rao included Bhakta Kannappa (1976), Gorantadiipam (1978), Manavoori Pandavulu (1978), Kaliyuga Ravanasurudu (1980), Tyagayya (1981),Abhilasha (1983),Khaidi (1983),Challenge (1984), Jaakii (1985), and Bullet (1985). 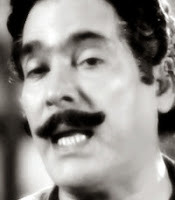 Rao produced several films, including Station Master, Lorry Driver, Bhargva Ramudu, and Vintadongalu. Rao was presented with Kala Prapoorna in 1990 by Andhra University and the cultural organizations gave him the title Natavirat. He won the Nagayya Award in 1987. He joined Telugu Desam Party in 1982. He was appointed to the Andhra Pradesh Legislative Council in 1984-85 and Indian Parliament by N. T. Rama Rao, then chief minister of Andhra Pradesh. He was member of Rajya Sabha from 3 April 1986 until 2 April 1992. He died on 13 August 1994, aged 57. The film Prema & Co was released after his death. His son, Rao Ramesh, is a Telugu film actor.